Volungis, A. M., Kalpidou, M., Popores, C., & Joyce, M. (2017, March). College student smartphone dependency: Relationships between social-emotional well-being and personality. 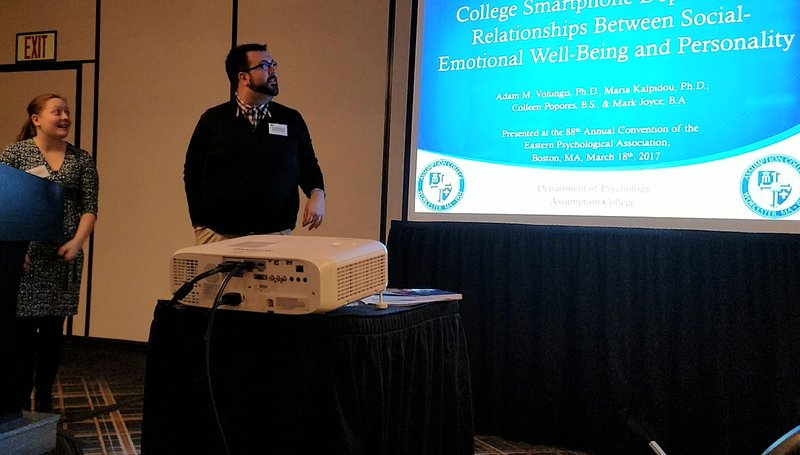 Paper presented at the 88th annual conference of the Eastern Psychological Association, Boston, MA. Suicide Prevention in Adolescents: Implementation of a High School-Based Psychoeducation Program. Volungis, A. M., Knight, B., Joyce, M., & Popores, C. (2017, March). Suicide prevention in adolescents: Implementation of a high school-based psychoeducation program. 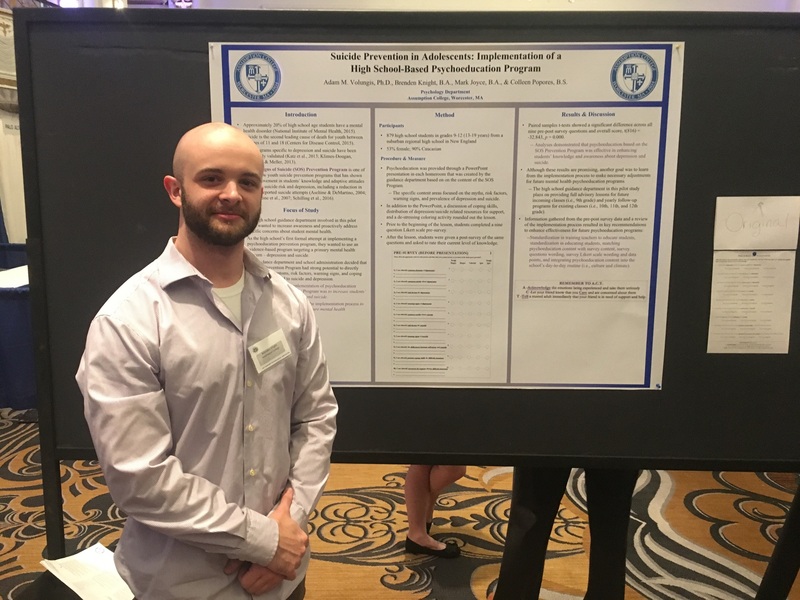 Poster presented at the 88th annual conference of the Eastern Psychological Association, Boston, MA. Previous Baby Boy! Next Newest Publication Has Gone Live!